Welcome to our website! 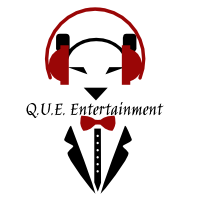 Please feel free to look around at all Q.U.E Entertainment has to offer! We are proud to serve all of Maryland, DC, Virginia, and beyond. We offer everything for all your entertainment needs including Disc Jockey& Party Rental Services. It doesn’t matter if you are planning a wedding, birthday, anniversary, graduation, reunion, or any other event in the DMV contact us. We offer everything from Moon bounces, tables and chairs, lighting, and sound services. ​We also offer consulting services if you need help planning your Special Day. With over 13 years in the entertainment business and fully insured, Q.U.E. Entertainment is sure to provide professional and expert service to you. © Q.U.E Entertainment a division of QAG LLC.